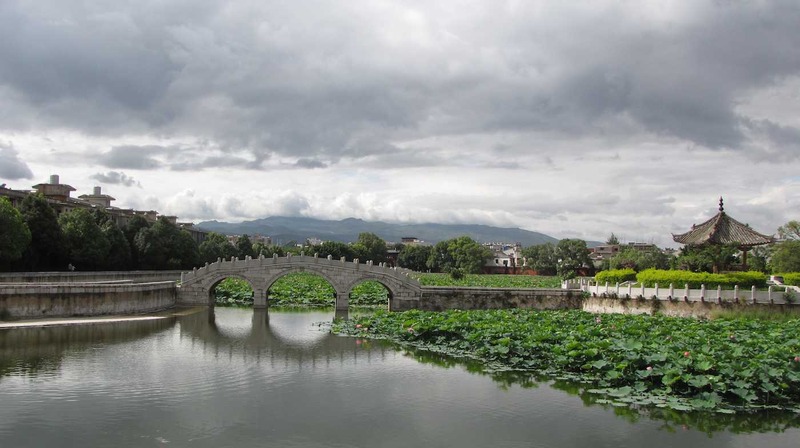 Yunnan is in South West China and has great hiking and cultural sites. The most popular area is mountainous (thus high elevation). Confucius temple, Jianshui, Yunnan, China. Multi family traditional house in Kunming cultural village. The cultural village isn't great but if you don't mind tourist trap created places it is decent. They created traditional housing for something like 20 different ethic groups and teenagers or young adults mainly (with some older folks) from those groups are dressed in traditional cloths and I suppose could answer question if you speak Chinese (I don't so...). This photo is of a huge "apartment" like structure that is build maybe 20 feet in the air and has something like 16 bedrooms off to the right and left of the photo (really small bedrooms under 10 feet by 8 feet I think). the central area like a communal living room, dining room etc. There is a communal kitchen behind me. I am not a huge fan of these types of created tourist attractions but this one was decent. I'm glad I went. If you were busy I would certainly say it could be skipped. Map of tourist attractions in Yunnan. Very detailed notes on trips in August 2007 and 2012 to Sichuan and Yunnan by Meczko - taking buses and making their own way and staying in budget lodging.